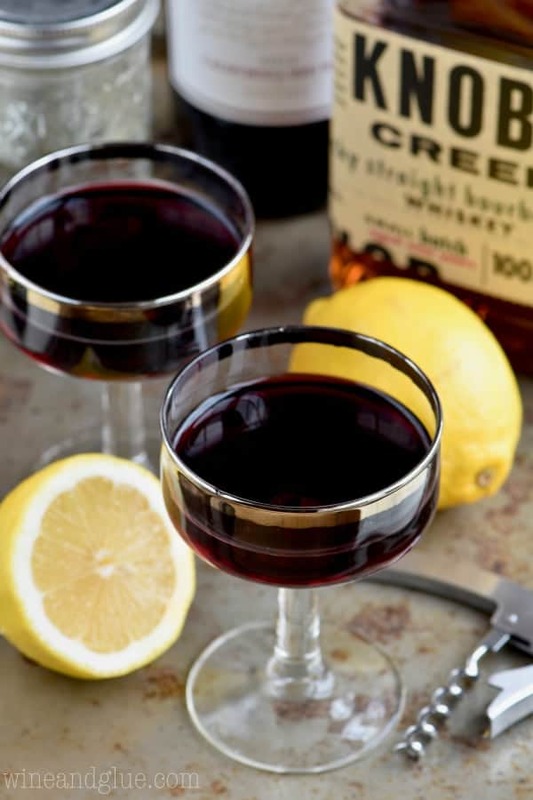 This Whiskey and Wine Cocktail is the most unexpected amazing combination ever! Try it and you will be hooked! How are you?? I have been a little absent from all things blogging except for a few things I had scheduled before our big move. Have I mentioned that we moved? ???? And it all started back in the summer when we were prepping ourselves to sell our house and pulling out boxes that we literally hadn’t unpacked in the SIX YEARS we had lived in our current house. And I was home with three little kids all day annnnnnd working like 50 hours a week. Friends, it wasn’t pretty. I was about to lose it. Lose it hard. I happend to mention this to one of my oldest dearest friends (the kind of friend who knows where all the bodies are buried), Erin, who lives clear across the country. And a few days later a bottle of whisky showed up on my front porch. In the process of thanking her, I happened to ask her (as a joke), if she thought you could combine red wine (I literally typed that as whine first, which should tell you a little about where my head is at) and whiskey and she said, YES! (I told you she was a good friend). 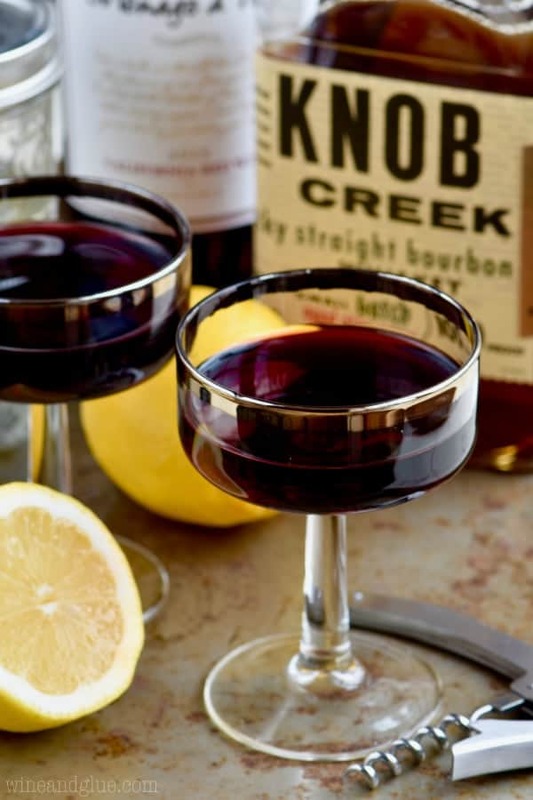 She had had a martini made with simple syrup, red wine, lemon juice, and whiskey ages ago in Milwaukee (back when all was right with the world and she lived in my neck of the woods), and so I tried it. It’s just as amazing as I’m sure you are thinking it would NOT be. Because when I tell people about this cocktail they look at me like I am insane. 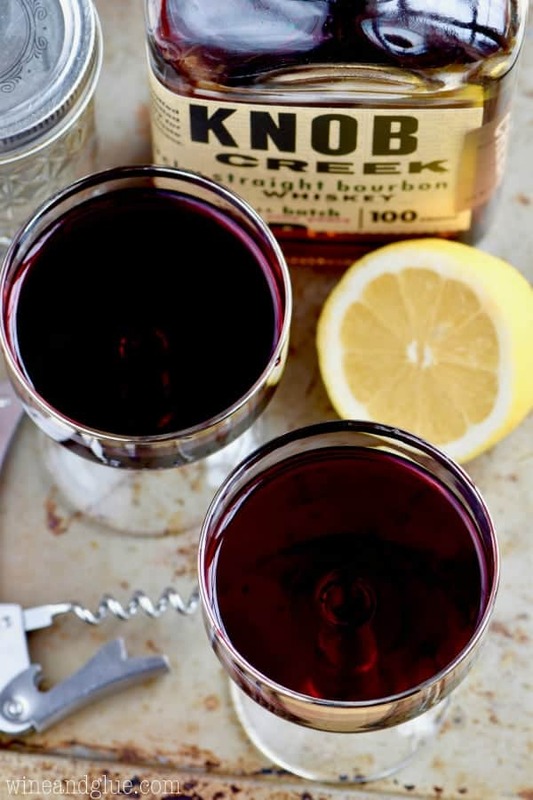 Normal humans pick whiskey or red wine. Not both. At the same time. I think it is well established I am not normal. 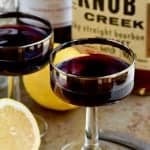 This Whiskey & Wine Cocktail has been given a number of names. At the Milwaukee bar it was originally served at it was something like The New Yorker. Erin wanted to call it Mixed Emotions™. I only stuck with Whiskey and Wine because then ya’ll know whats in it right away. Everyone who I have made this for has loved it despite their doubts. Just be careful guys. They are strong. I’m sick of unpacking. I think I will have two. Blend all ingredients together and serve room temperature. Sista! I’m trying this and you may just be my new BFF!!! LOL!! I hope you like it! Where all the bodies are buried!!! LOL!! You crack me up Lisa! For real though! If she ever turns on me I’m screwed ???? I would like to give a try wine and whiskey combo, but I never heard about that before. Is it ok to use any kind of whiskey? I would just recommend a mid to high shelf brand. I love Knob Creek, though Trader Joe’s makes a great whiskey too! Any kind of whiskey that you would enjoy drinking on it’s own would be great in this!